Making jewelry is a fun and affordable hobby that anyone can enjoy.’If you have the creativity to design, a bit of patience, and a moderate or even small budget, you too can create beautiful settings for gemstones and craft necklaces, pendants, bracelets, earrings, and more. If you want to know how to start making jewelry on your own, this guide will not only help you with the first essential steps, but also how to organize and where to find more information. To make it easier to digest we have divided our guide into 4 parts. Feel free to skip to the parts you are most interested in! Part 4: Where Can I Learn More? In our previous installment, we introduced you to a number of jewelry making techniques: wire wrapping, macram’, beading, resin jewelry, polymer clay, and soldering and forging. What type of jewelry you decide to try your hand at first will probably be determined in part by the supplies which you can afford and access. Let’s talk about the basic supplies you need for each type and where you can find them. For wire wrapping, you need nothing more than a couple of pairs of pliers, a couple of spools of craft wire, and the gemstones and beads you want to use to craft jewelry. You need cutting pliers as well as needle-nose pliers to bend the wire into the shapes you want and cut off stray ends. You can easily get started with wire wrapping for around $30.00. For more detail, see our in-depth guide to wire wrapping. To make macram? jewelry, you will need some macram? craft cord. This comes in a variety of different materials including cotton, hemp, and bamboo. You can also get the cord in a rainbow of different hues. It is very affordable; you can get 120 feet for around $27.00 if you buy in bulk. For macram? jewelry, you will also want to stock up on beads. Gemstones can be set with macram? as well through cradling and wrapping techniques. If you are interested in doing beading and bead weaving, you will need a few basic supplies. First off, you will need the beads themselves as well as any gemstones you wish to incorporate. Secondly, you will need beading needles. Their eyes are not as wide as the eyes on sewing needles, so you cannot simply substitute sewing needles (which will not fit through bead holes). Sizes 10-12 are the most commonly used. You will also need beading thread, which does not fray like normal thread for sewing garments. Nylon and polyethylene thread are the most popular types. You will want a pair of beading scissors that can cut your thread cleanly, as well as some thread conditioner for lubricating your thread. Many crafters who bead also purchase bead mats or bead dishes to work over. Bead scoops are also handy; these little shovels can be used to collect beads you have dropped while working. A good light and a magnifier can also make beading easier and more enjoyable. 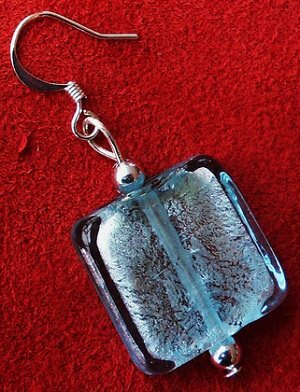 To make resin jewelry, you will need the resin as well as materials for mixing and casting. A great way to get started is with a beginner’s kit (you can find these for around $40.00). In your kit, you will receive the resin, sealants, mixing cups, stir sticks, and a basic mold. You may also want to purchase colorants. You’ll also need some additional household supplies, like wax paper, latex gloves, a blow dryer, and something to cover up your molds while the resin hardens inside them. Additionally, you will want to pick up jewelry findings. Finally, you can put anything inside of resin; dried flowers are one popular example! To start making polymer clay jewelry, you will need polymer clay, a surface to work on which will not become stained (ceramic or glass tiles are usually suggested), a standard home oven (a toaster oven works fine as well), and supplies to embellish your clay such as paints, mica powders (for sparkle), and so forth. You will also need tools for shaping and working with the clay, like knives and cups. A plastic roller is also helpful, or alternately a pasta machine (you may purchase one of these later if you decide you really enjoy doing polymer clay projects). You also can use beads, gemstones, and other objects in your polymer clay jewelry. Pick up findings to use to complete your pieces as well. If you want to solder jewelry, you will need a soldering gun, a soldering board, the metal you are going to work with (you can even start out using the same wire you would use to wire wrap), solder and flux paste, a torch, work gloves, safety goggles, a fuel source (i.e. butane), a pre-soldering coating such as boric acid and denatured alcohol, a lighter, a pair of tweezers, and something that can help you take off unwanted oxidation after the process is complete (i.e. silver prep). Finally, you will need a steel block and a hammer. If you want to be able to do even more metalwork, consider investing in additional tools like a jewelry saw, a ring mandrel, a third hand, a raw hide hammer, and an optivisor. You might also invest in a forge. You can buy a gas-powered forge or one that will burn coal’or you can even build your own. Some jewelers have gotten started with nothing more than a fire pit, an anvil, and a hammer! You can even forge your own tools for later use. Most newbie jewelers will choose a different approach to making jewelry, but if you have a passion for metalwork, there is no reason not to jump right in. Hobby shops and craft stores. Shops that specialize in crafts may be able to help you out when it comes to finding the supplies you need. If you go to a general hobby shop, however, expect to find very basic supplies in any given category. Bead stores. Even small towns usually have at least one bead supply store. This is usually a better option than a general craft store, and will carry far more specific supplies which are ideal for more professional projects. Many bead stores, especially wholesale stores, also sell gemstones. Rock shops. You probably will not find all that many jewelry supplies at a rock shop, but you can find many beautiful gemstones to create settings for. You may also be able to pick up a rock tumbler in a rock shop. Hardware stores. If you are interested in soldering or working with a forge, you will want to hit up a local hardware store to find the supplies you are looking for. You also may find other basic supplies for other types of jewelry making (pliers, magnifiers, and so forth) in a hardware store. Online. The Internet is probably the best all-around choice for shopping for jewelry-making supplies. You will find a huge selection on sites which are dedicated to offering jewelry supplies, as well as generic retailers. This is a great option if you cannot find all the specialized supplies you need offline (which is especially likely if you live in a small town). You may sometimes feel like you are on a scavenger hunt offline, but online, you can do all your shopping in one place! Making jewelry is a fun and rewarding activity to do as a hobby or on a professional basis. Whether you are interested in wire wrapping, making macram? or resin jewelry, beading, working with polymer clay, soldering or forging, there are affordable options for getting started with basic jewelry making supplies. In our next installment, I will give you some advice for gauging the quality of gemstones as you are shopping. One of the many fun aspects involved with making jewelry is working with gemstones. Gemstones are dazzling to behold and have captured our imaginations since the beginning of human history. Historically, gemstones have been used in jewelry for thousands of years. Archaeologists have dug up wonderful examples of ancient jewelry in Egypt, Rome, and other parts of the world with gemstones intact. And today, jewelry with gemstones still generally sells better than any other type of jewelry. Gemstones are usually categorized as either precious or semi-precious. It is one of the broadest classifications used. What makes a gemstone ‘precious’. It has to do with the rarity of the stone, not necessarily its beauty or quality. The rarest gemstones in the world are diamonds, rubies, sapphires, and emeralds. The definition of the word ‘precious? has certainly changed throughout history, but nowadays, this is what people are talking about when they talk about precious gemstones. So when you are working with any of those four gemstones, you can say that you are working precious gemstones into your jewelry. Jewelry with these stones will usually fetch the highest price. Semi-precious gemstones are numerous and varied, and are more common than precious gemstones, though many are still fairly rare. They are much less expensive to purchase, and much more common to find in nature. They can still enhance the price of a finished piece of jewelry, as well as its beauty. Examples include amethyst, rose quartz, and other quartz specimens, agate, tiger’s eye, malachite, carnelian, jasper, and others. When you walk into a rock shop, most of what you find will fall under the semi-precious category. Mineraloids are often lumped under semi-precious gemstones, but most of them are not actually ‘stones’ in the traditional sense. They do not have crystalline qualities, and may possess non-mineral compositions. Examples include pearls, which are organic in nature, amber, which is also organic, jet, which is actually very compact coal, petrified wood and other fossils, obsidian, which is volcanic glass, and opal, which has a surprising amount of water in it and which does not have a crystalline lattice. Lapis lazuli, usually classified as a semi-precious gemstone, is also a mineraloid. Color. For diamonds, most people prefer white. For other types of gemstones, those with bold, bright colors tend to be most attractive to buyers. These gemstones look beautiful in jewelry, and will draw the eye. Clarity. This is another factor to evaluate when you are buying a cut gemstone. 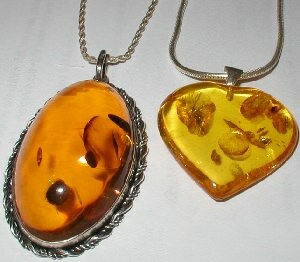 Stones which are transparent usually are considered most desirable. Look for a stone without any visible flaws. Note that some inclusions are incredibly hard to see, and you can usually get a discount when they are present, even if they are hard to detect visually. Carat. This refers to the weight of the gemstone. Naturally larger stones which have a higher carat are often considered the most precious. Cut. The way that a gemstone is cut determines its sparkle and shine to a large extent, and how the light will play inside it. There are dozens of different cuts in existence. The quality of a cut is a pretty subjective determination. Look for something with a beautiful and mesmerizing sparkle. When you are buying precious (and sometimes semi-precious) gemstones, it is important to know for sure that what you are buying is genuine, especially if you are planning on selling your own jewelry. You want to be able to properly label the gemstones you include in your work so that your buyers likewise know what they are getting. You will thus need to learn to tell the difference between real gemstones and imitation gemstones which are sometimes substituted in place of the real thing. Imitation stones may take the form of similar looking natural stones, or synthetic stones made in a lab. Nothing is wrong per se with either, but you do not want to pay for jade and find yourself with a piece of serpentine. And you do not want to tell a customer that the synthetic diamond they are purchasing is actually a real one from a mine in the ground. Identifying gemstones is largely a matter of research and experience. Over time, you will get better and better at it. For some types of gemstones, you can purchase tools to help you with identification. For example, a diamond detector can come in handy when you need to determine the genuineness of a diamond. If you work with diamonds often, you may wish to invest in one. The device is small enough to fit in a coat pocket, and you can take it to the store with you. With many stones, though, it simply comes down to knowing what to look for. Many gemstones you will learn to recognize on sight based on their color, structure, and patterns. There are little tips and tricks for many. Earlier I mentioned how similar jade and serpentine look, as an example. Often times, serpentine is substituted for jade, and sometimes you will find ‘jade? for sale that is actually serpentine. A trained eye however can recognize the fibrous structure inside jade when it is held up to the light. This structure is not present in serpentine. It is very important to train yourself to purchase quality gemstones for use in your jewelry. Not only is it nice to know what you are working with, but it is essential if you plan to sell your jewelry later (this will be the subject of another article series in the future). It is a matter of professional pride to know what you are delivering to customers, and it can have an impact on your long-term reputation. Customers want to buy from an honest jeweler who doesn’t falsely advertise. Even innocent mistakes can cause problems for a jeweler if word gets out that products do not match their descriptions. What gemstones are popular right now? Like anything else in the fashion world, gemstones go in and out of vogue. Precious gemstones are always in style. Semi-precious gemstones go through phases. Several years ago for example, labradorite was hugely popular for its beautiful iridescent sheen, which made it a big seller for handcraft artisans, especially online. Look online to see what gemstones are selling, and that may give you some ideas for your own jewelry. What gemstones would compliment the style, colors, and tone of the piece you are making? Not too long ago, blue and orange was a popular color combination for jewelry. So many jewelry artists purchase copper metal for their jewelry, along with blue gemstones like lapis lazuli. Being able to color coordinate is a key skill for a jeweler. Meaning. Sometimes jewelers select stones for the meanings and metaphysical properties associated with them in folklore systems. Birthstone and zodiac jewelry is always popular. So are pieces which are crafted with a certain intent in mind. 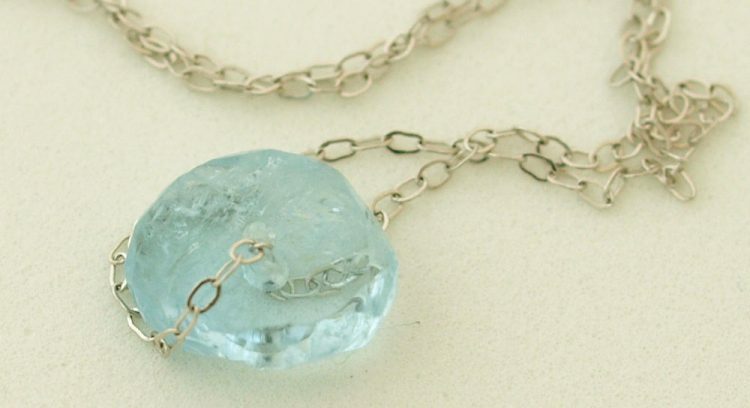 You could for example craft a necklace with gemstones which are believed to have healing powers. Many jewelry buyers enjoy the mythology surrounding gemstones, and familiarizing yourself with this information can help you to boost the popularity of your creations. How can you incorporate gemstones into the pieces you make? There are numerous different ways that you can include gemstones in your jewelry. No matter what type of jewelry you make, you should be able to set gemstones as focal pieces in your work. It can be done using soldering, wire wrapping, bead-weaving, and even macrame. 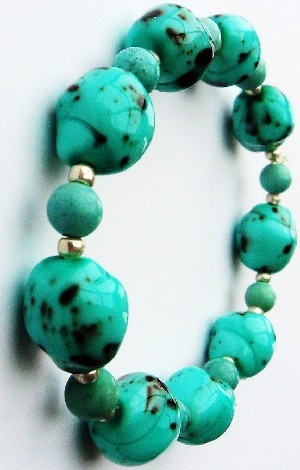 You also can purchase beads which are made out of stone to add to the beauty and quality of your pieces. It is worth taking a few minutes to discuss how you are going to organize your jewelry supplies. That probably doesn’t sound like the most exciting aspect of jewelry making (unless you are an organization nut), but you will likely find that buying jewelry supplies, like making jewelry, is addicting. You’ll start finding wholesale deals and accumulating more and more materials. Odds are you will also start meeting other crafters. A lot of jewelers end up with supplies they are unable to use because of their particular craft (beads with holes that are too small, or loose random beads outside of sets, etc.). You may find yourself on the receiving end of supplies like these if you can use them. Beads are small and easily lost. They also tend to roll around, which makes them even harder to keep track of and contain. You need an organizational solution which will keep them in place so you don’t end up with beads scattered all over your carpet. You need to be able to find what you are looking for quickly and easily, and sometimes you need to be able to reach it with one hand (if for example you are in the middle of a complicated procedure on a piece). You want to have an organizational scheme which makes sense. It is wise to organize beads by color, size, or material, so that you can easily gather supplies for a given project. Glass jars. If you have old glass jars in your house, those are a great start for storing beads. They are clear, making it easy to see what’s inside, and they are cheap. Jewelry trees and other display cases. These are great for storing your finished pieces. They will also be ready to go when you decide to take them to an event to showcase and sell. Plastic tilt out bins. These are handy, because you can easily tilt them open without having to open and close a lid. You can even get dividable plastic bins that allow you to section off supplies, but keep them consolidated in a single unit. This is perfect for storing beads and gemstones! There are even organizers designed specifically for jewelry makers to use. Floor stands and carts contain numerous large and small compartments which you can use to store your beads and stones and other supplies. You can even purchase carts which have wheels on them so that you can conveniently move your jewelry supplies from room to room. This is perfect if you want to work on your projects in more than one location in the house (if say, for example, you want to be able to keep an eye on dinner as you’re cooking, while working on your jewelry). Make sure that you pay attention to any special instructions regarding storage for different types of materials. For example, when you are storing polymer clay, you want to take care to keep from exposing the clay to direct sunlight for extended time periods. You also want to make sure you don’t allow it to become too warm. Also be aware that metals which are not coated to resist tarnishing will develop a patina over time as they are exposed to the oxygen in the air. You may want to keep a polishing cloth handy if you work with metals in your jewelry. Also look into jewelry display cases and bags which are designed for taking to craft shows. These allow you to conveniently transport your jewelry and your jewelry making supplies with you to locations where you can show off your wares. If you start selling regularly at craft shows and farmer’s markets, you will find these organizers incredibly helpful. Staying organized may not be the most exciting aspect of making jewelry, but it does ultimately make it a lot easier and more fun. You’ll be grateful you took the time and money to invest in a few dividable plastic bins when you aren’t digging frantically through your supplies for that one perfect bead when you need it the most. So have fun organizing’and then have fun crafting! In our next section, we’ll teach you where to go to learn more about making jewelry. How To Start Jewelry Making: Where Can I Learn More? Now that you know about the different types of jewelry you can learn how to make, the basic supplies required for each type, how to select gemstones to use in your handmade jewelry, and how to organize your supplies, you probably are wondering where you can go to learn how to make jewelry. Whether you decide to wire wrap, do macram? jewelry, create polymer clay jewelry, or solder your jewelry, you are going to be climbing up a learning curve. At first, you will probably find it challenging. But the more you learn, the easier it will become. It is incredibly rewarding to watch beautiful creations come to life before your eyes. As any jeweler will tell you, the process can feel magical. Books. Head to your local library or bookstore, and see if they have a crafting section. There you can find paperback and hardcover books with detailed instructions on jewelry making. Many of these books include photographs for each step which are easy to follow and replicate. You will find some of the most detailed, in-depth information this way. Online tutorials. You can purchase online tutorials for making jewelry, and you can also find many of them for free. This is a great option if your local bookstore or library does not have much in the way of resources, or if you just want a different view of things. Some tutorials and books are easy to follow; others are not. For any one topic, you can usually find at least several free tutorials, though, and sometimes dozens. Online videos. Just as you can view image-based tutorials online, you can also watch videos on how to make jewelry. These are posted for free on sites like YouTube, and allow you to see much more clearly how to complete a piece of jewelry step by step. Sometimes you need to see something in motion to understand it, and this can be the next best thing to in-person classes. Jewelry making classes. Classes to make jewelry are fun and affordable, and a great way to not only hone your skills, but also meet new people. Look up classes in your area and you will probably find a lot of options. A lot of times, classes are held after hours in bead shops. There may even be some classes at the shop where you have bought some of your supplies. At jewelry making classes, you will learn from the instructor and also from the other students, and have a chance to share your own techniques. You can also share other resources you have discovered’books, websites, videos, and more. One of the best things about making jewelry is becoming a part of a broader community. There are creatively minded people all around the globe who enjoy making and sharing their jewelry with others. You will probably get to know people locally if you go to workshops, and you can also get to know others internationally if you become part of artistic communities online. One of the best ways to meet new people is to spend time doing something you love, and share that passion with others. Showcase your jewelry online, and you’ll have the chance not only to make sales and supplement your income, but also to have fun doing art trades, and make new friends!